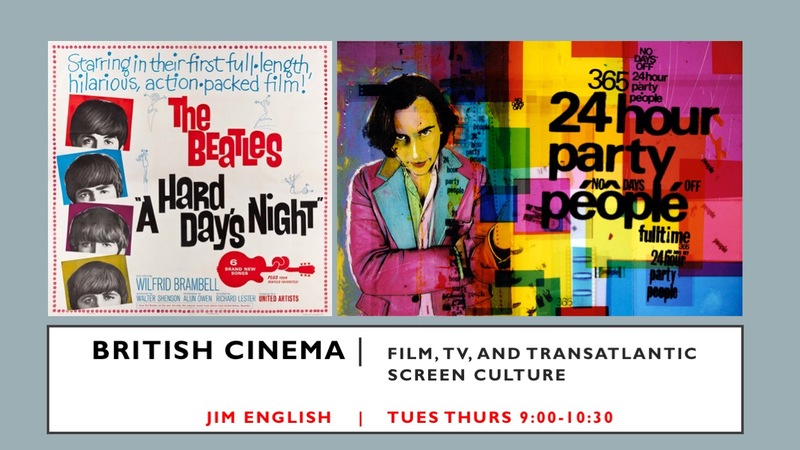 This is a wide-ranging introduction to the “other” major cinema in English: the films of England, Scotland, and Ireland. The British film industry has been thriving in the 21st century, but it remains the underdog in a global media environment dominated by Hollywood. We will consider some of the ways British filmmakers have positioned themselves in the space of world cinema and television as close rivals or radical alternatives to the American model. Our approach will be to study two films a week, one from the 21st century and the other from some earlier moment in British cinema history. Each of these pairings will aim to capture an enduring cinematic mode or transatlantic strategy that contributes to the national “signature” of British film. Our screenings will run the gamut from the big-budget James Bond and Harry Potter franchises, to mid-sized transnational productions such as Pride & Prejudice and Slumdog Millionaire, to more independent or artisanal work by such directors as Mike Leigh, Ken Loach, Sally Potter, Michael Winterbottom, Lynne Ramsay, Steve McQueen, Andrea Arnold, and Lenny Abrahamson. A number of films we will study were made for British and/or American television, and we will devote some attention to the important and changing relationship between TV and cinema in contemporary screen culture. Required work will include five brief quizzes, two or three short research reports about the business side of the film industry, a 2-page formal analysis essay, and a research paper with various options, including a creative-writing option. Viewing every film at least once is required, but reading is light. There are no prerequisites and no expectation that you have any expertise in British cinema or culture. If you enjoy watching films and learning about how they were made, you will enjoy this class.